Just so you don’t think that I disappeared off the face of the earth (or sea? ), here is a new Twin Killer sudoku puzzle for you! Two puzzles that do not overlap. Instead, they are placed next to each other, but most importantly – they both have the same solution. Or, to be more precise, you are looking for one solution that solves both puzzles. The previous Twin Killer Sudoku that I posted was a “conjoined” variation, this one is not. 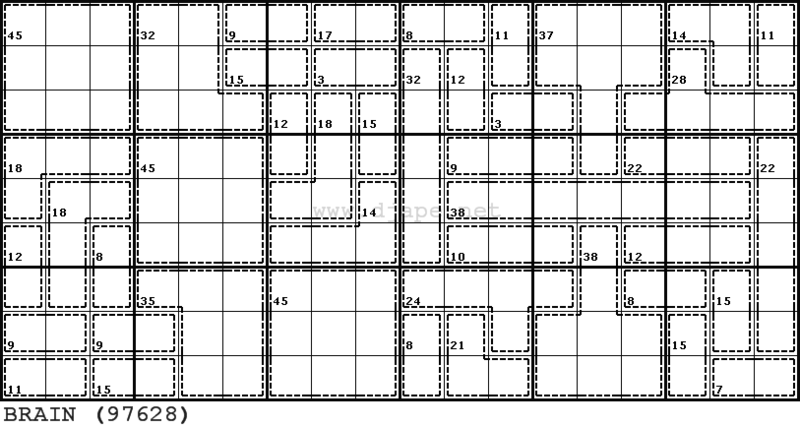 This entry was posted in Free sample puzzles, Killer Sudoku and tagged killer, killer sudoku, Twin Killer, Twin Killer Sudoku. Bookmark the permalink. Post a comment or leave a trackback: Trackback URL. Re the Twin Killer SUDOKU, o 6/5/06, does anyone else find it to be indeterminant?